One of the big things that appears to have held Liverpool back at times this season has been their lack of creativity and quality in midfield. The problem Jurgen Klopp has had that too many of his central midfielders are too similar, and not attack-minded enough. However, there is a potential solution arriving in the summer. Italian outlet Gazzetta dello Sport reported on Friday that Barcelona midfielder Ivan Rakitic has asked the Spanish champions to be allowed to leave the club at the end of the season, due to being unhappy with the signing of Frankie de Jong and potential addition of Adrien Rabiot. If Rakitic wants to leave the Nou Camp then Anfield must be his destination. Imagine what he could add to this Liverpool team. Finally, the Reds’ lethal front three would have consistent quality service from midfield. 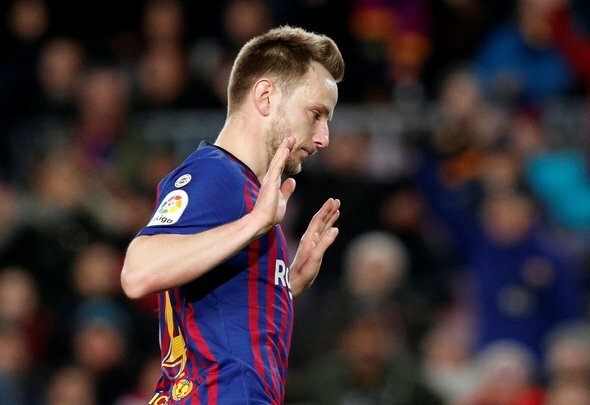 At 30 years of age Rakitic wouldn’t be a long term solution, but he could be just the thing to help Jurgen Klopp’s team go from top contenders to legitimate European royalty. The 101-cap Croatian international is one of the most creative midfielders in Europe, and he has phenomenal pedigree. He is just what Liverpool are missing at the moment and would revolutionise the starting line up. Xherdan Shaqiri is too inconsistent to be trusted in big games, while Adam Lallana is too injury prone. Klopp needs a creative midfielder he can trust, and Rakitic could be it. Gazzetta dello Sport’s report claims that Inter Milan are in pole position for the Barca star, but Liverpool could surely rival the Italian giant’s for a player they desperately need. Rakitic could be the key to taking Liverpool to the next level. Klopp must consider making a move for him.